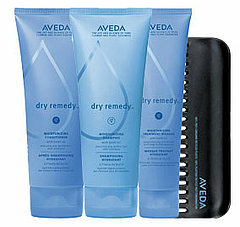 Luxuryparlor offers additonal savings on professional hair care and skin care item. Overall this shampoo is excellent for dry hair. The Kerastase bain de force shampoo. Great shampoo. I choose Kerastase products and use it regularly to invest in my hair for its natural strength, shine and overall health! Bain de Force makes your hair visibly stronger. Great shampoo for greasy hair, too! Gives hair strength and shine that lasts. Really works for me. Highly recommend! Kerastase manufacture some the words best shampoo, conditioners and masques. Kerastase makes excellent hair products. I like this shampoo, it leaves my hair very silky and it has a great rich lather and nice smell. The only downside is that Keratase products are quite expensive for everyday use. I have other shampoos I use for my first lather, and then finish with this one. A small amount of the product goes a long way. If you leave the lather on your hair for several minutes, it works better. Fine textured hair can be damaged easily from coloring of the hair. The fine hair has less cuticle layers so the penetration of chemicals occurs faster. Coarse textured hair has more cuticle layers. This type of hair is more resistant to coloring. Coloring on any type of hair can damage it if the wrong level of peroxide is used or you are over-processing your hair. These brushes works wonders on long hair! The bristles don’t snag- and because it is a mixture of boar bristles and synthetic it evenly disperses your hair’s natural oils over your hair so you have beautiful, shiny, perfect hair ever time. It’s a daily staple for everyone to use.